Plans to introduce accreditation tests for children’s social workers risk experienced practitioners quitting the profession, the British Association of Social Workers has warned. BASW, which represents more than 22,000 social workers, said the accreditation system planned by the Department for Education was “unjustifiably” costly and poorly designed, risked worsening the profession’s recruitment and retention problems, and marked a further step towards breaking the link between adults and children’s social work. The association urged the DfE to rethink the “flawed and unpopular” plans and work with the profession to develop an ongoing CPD framework for all social workers. The DfE’s lack of sector involvement in the development of accreditation was a “significant failure”, it added. Ministers want more than 30,000 frontline social workers in children’s services to take the accreditation assessments, which involve a digital test, practice observation and written assessments, by 2020. The scheme will be introduced voluntarily at 31 councils before being rolled out nationally. A DfE consultation on the plans closed this week. BASW underpinned its response to the consultation with a survey of 538 social workers. This revealed just 3% felt accreditation offered good value for money, and 61% felt the tests would act as a “disincentive” to recruitment and retention. More than half (58%) felt social workers who already held a post qualifying or advanced practice award should be exempted from the tests. The association said the proposed system could demotivate some of the advanced practitioners councils most needed to retain. Social workers who responded to the survey complained of “too many hoops to jump through” and “over testing”. BASW said comments from many members showed experienced social workers, and even those at the start of their careers, would leave the profession if forced to take the tests. The DfE said accreditation was a “key part” of government efforts to boost the skills and professional status of social workers. The association said the plans also added to wider fears over the way the knowledge base for social workers in England is being developed, with concerns the DfE is favouring profit-making firms over sector bodies and universities for projects that are key to shaping social work. The department awarded a £2m contract to develop accreditation to a consortium led by management consultancy giant KPMG and social work firm Morning Lane Associates. Global consultancy firms Mott MacDonald and Deloitte have also won DfE contracts to oversee other key planks of social care reform. 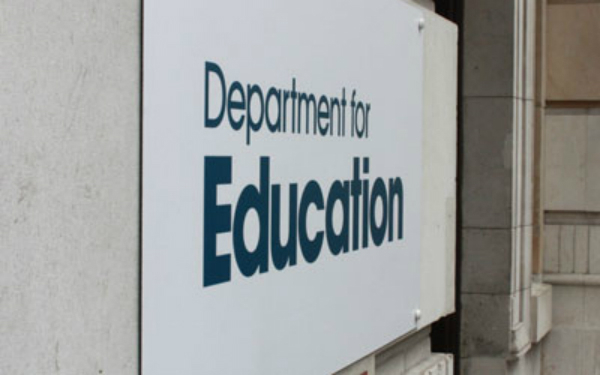 “We are clear that this should not be an exercise that is dominated by one government department (Department for Education) and consortia of private companies with limited input from HEIs. This is not comparable to how other professions are treated and defined,” BASW said. The intervention comes days after the Association of Directors of Children’s Services voiced fears that accreditation offered poor value for money. The ADCS said the estimated £23m cost would be better spent on frontline social work and early help services. A Department for Education spokesperson said: “Our aim is to make sure all vulnerable children get the expert, high quality support and protection they need, no matter where they live. “The proposed new assessment system is a key part of our work to strengthen the skills and professional status of child and family social workers. There is a clear appetite from many in the sector to be part of the early roll out of the new system – 31 local authorities have already committed to this. And why should social workers be exempt from upgrading their skills ? The DfE suggests that the type of social work requiring accreditation would be that which involves carrying out statutory functions in relation to children and families with the highest level of social need. Initially, roll-out of the system would be across organisations where those responsibilities are the most prominent. Unfortunately, authorities which have been found to be inadequate for safeguarding work would not be helped by an accreditation process (particularly if too many staff failed the test) and their problems would continue. The ongoing problems in children’s services are only partly a consequence of poor standards of social work practice – this is as much a symptom of organisational dysfunction as the cause of problems. BASW is right to focus on CPD but does not acknowledge that this may be an unrealistic objective in an authority without a stable workforce. In recent years much progress has been made in developing a clearer focus on child protection work and improving standards of practice but the lack of consensus within the profession about the nature of social work expertise remains a barrier to further progress. The complexity of long-term work child protection work needs to be better understood so that appropriate training and managerial support can be provided in the more dysfunctional authorities. I have nearly completed a research paper for my MA on the Knowledge and Skills Statements (KSS). The 6 social workers I interviewed could all see merit in the idea although there was scepticism on the validity of a test. One comment, that it could be the straw that breaks the camels back is of significance. My research led to my reading numerous government documents on the KSS. The confidence in practice document, regarding the National Assessment and Accreditation System (NAAS), stated that the multi-part assessment is an ‘accurate reflection and a good predictor of how well social workers performed in practice.’ However, in the report for social work assessment and accreditation system, conducted by KPMG-led consortium, it is acknowledged that the tests validity was based upon data generated from the Proof of Concept phase, as there were no external benchmarks to compare against. The multi-part assessment includes a digital knowledge assessment, three interactive scenarios with actors as part of the simulated assessment and a written and reflective exercise. In the KMPG report, Principal Social Workers reviewed videos of the simulated observation assessments and are cited as having an ‘extremely high level of consensus (generally 100%) between their assessment of the performance’ and the observers assessment. However, elsewhere in the document it can be seen that Principal Social Workers were only shown 5 videos! The Service user panels in the study only demonstrated a ‘general level of agreement’ with observer scores. NAAS is to be rolled out nationally and the credibility of the report and likelihood of consistency is questioned further as six observers completed over 70% of all assessments. There was also reference in the focus group from participants regarding the variance of how observers conducted the reflective discussions. Further focus group feedback suggested the simulated observations were not an accurate reflection of practice and felt prescriptive. Some participants felt that the overall assessment did not take account of the multi-agency approach to social work and made it difficult to showcase their skills. Many participants stated they liked the multiple choice questions format in the digital assessment although the focus group suggested it is not suitable for assessing social work. If a practitioner fails the assessment they can take the test again. This can be done quickly if they fail one aspect but if they fail two or more it is after professional development, which could last up to a year. What happens during this time they are sat on the subs bench? What could this do to local authority workforces? This is likely to add further pressure and expense relying on agency staff. The plans detailed in the confidence in practice document state that agency staff, need to be endorsed by their employer to take the accreditation. This is to get agency staff to commit to longer contracts and I assume weed-out poor agency staff. This all sounds very good in theory but goes nowhere near addressing the underling issues that cause retention, from caseloads and supervision through to the public image and media pressures. Another concern is that by reading the government documents relating to the KSS and NAAS I could start to unpick some ideological motives. The introduction of the KSS and NAAS as a mechanism to drive up standards is a masquerade, to phase out social work education and change the type of practitioner in practice. As a result the government’s neo-liberal ideological position will remain unquestioned, and social work services will continue to be privatised and service users demonised.